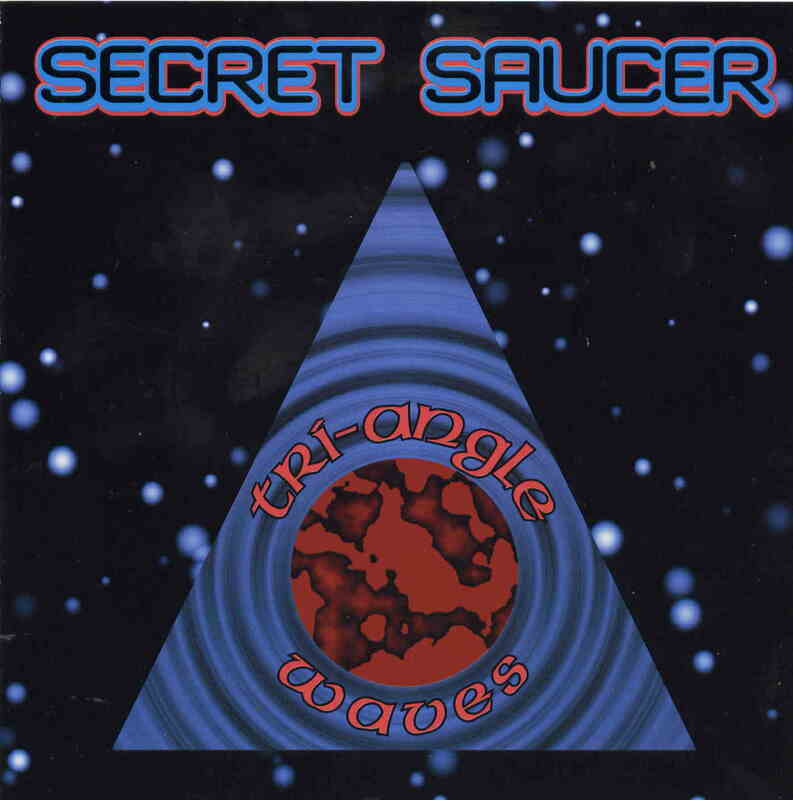 Well, the third Secret Saucer CD has finally arrived! It is more or less the same crew as before (Ted Boburka on drums is some new blood though) but with more folks playing synthesizers with some tracks having four contributing and most 3. Steve Taylor also does an amazing electric mandolin solo on one track! The CD features 6 tracks in one hour. For those not already familiar with Secret Saucer, they are a bunch of guys mostly from Ohio, getting together every now and then and spending a weekend jamming and then later they take the best stuff and do a bunch of overdubs and release a new record. All free form space and rock music. This CD features two all synthesizer, Tangerine Dream like tracks, the opening Night Encounter and track 4, Approaching Hunab Ku, which is an 8½ minute trip into deep space. Light Years Away and the closing Mind Mechanics are some of the best stuff that Secret Saucer have done. Steve Taylor plays just mind blowing electric mandolin on Lightyears Ahead. Mind Mechanics is 12½ minutes and it takes a while but you will get sucked into the black hole, guaranteed. If you are a fan of space rock, this is a must buy album.